I agree! What a great image! Beautiful die cut frame and I love that purple paper! Thanks for sharing your lovely card with us at Penny's Paper-Crafty Challenges! Lovely image and I live the purple paper you added to one side. How sweet card!!! Fabulous and adorable image so beautifully coloured and LOVE the white and purple background with the cute bow! Such a beautiful card and fabulous image. Thank you for playing along at Creative Inspirations, good luck and I hope you will join us again. What a brilliant image to celebrate a new addition to the family. Thanks for joining us at I 💘 Promarkers. A GREAT image and love your sentiment. 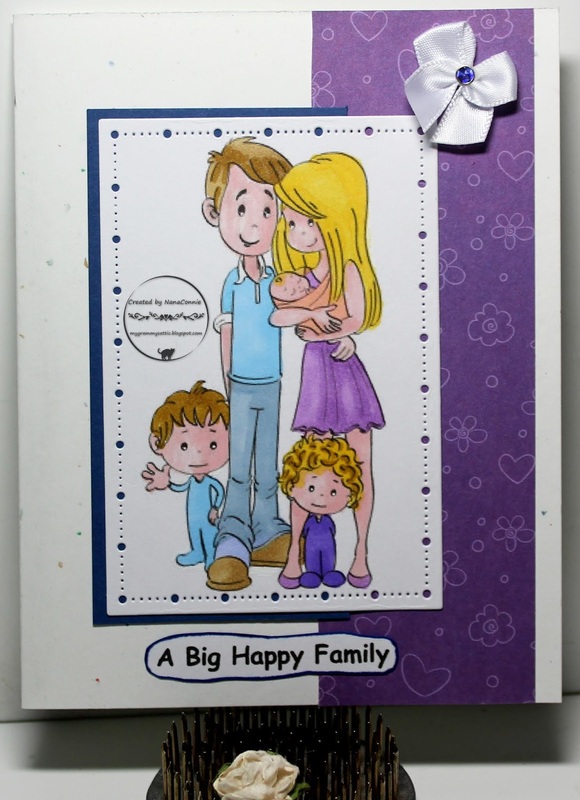 What a beautiful image and wonderful card you created with it! Thank you so much for joining in at my Crafty Wednesday challenge this month, hope you'll play alogn again soon!